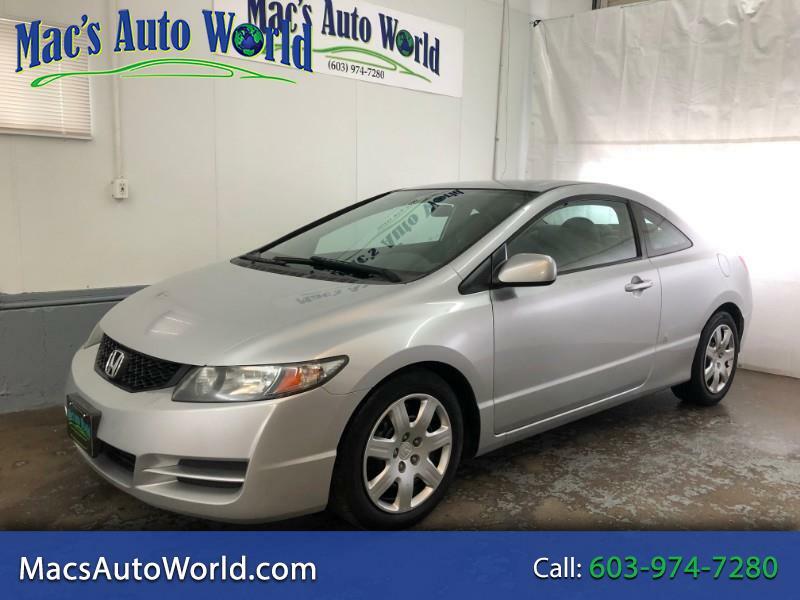 2009 Honda Civic LX coupe with automatic shift and 146k miles! The exterior of the car is in good condition for its age, with a dent in the front right fender and a few small spots that can be seen in the photos. The interior of the car is in great shape, with no stains, rips or wear anywhere. The car has no signs of smokers or pets and runs and drives excellent! We have fully serviced this Civic and it comes inspected and complete with our Mac's Auto World warranty as well as approval for any of our extended plans up to 5 years! To see other great deals like this one, visit us at www.macsautoworld.com or stop by today!